Have I taken all the necessary steps to protect my enterprise against all current and potential future cyber threats? That’s the question that you will be asking yourself and savvy board members will be asking you. Taking comfort from mitigating the risk, as per Marsh Insurance Brokers there has been rapid uptake of cyber insurance with 25% increase during 2015. 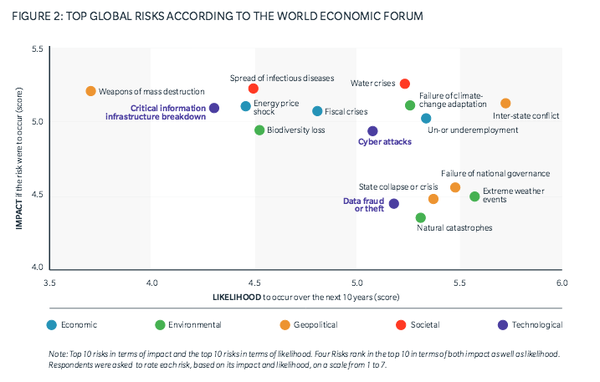 As we can see from the analysis from World Economic Forum, there is high likelihood of Cyber Attacks and there is also a Data Fraud or Theft risk. 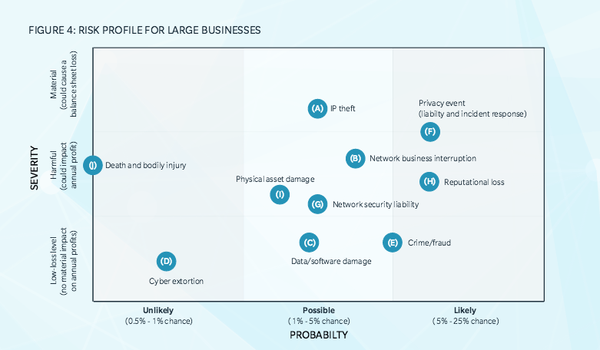 From that UK report, when we evaluate the risk profile for larger businesses – it is alarming to see that the cluster of risks that exist towards the upper and right of this 3x3 grid. My read is that for most organisation’s that this would be a good indication of the enterprise risks that are in play. One could argue that the relative severity may vary according to the industry and sector. Further that the probability will also adjust with how mature are your risk management practices. Tier 1 (Partial) this describes organisations where cyber risk management processes are not formalised and for whom risk is managed in an ad hoc fashion. For Tier 1 organisations, cybersecurity risk is an IT issue. This is tackled by an internal team with little to no external collaboration. Tier 2 (Risk Informed) this is where cybersecurity risk management is acknowledged and a concern. However this is still in the main managed by IT, there is a policy in place and there is some movement to working with others at an industry level. Tier 3 (Repeatable) when there is a comprehensive risk management policies and practices that are understood and implemented across the organisation. Also there are broader industry connections to address cybersecurity risk and sharing of information. Tier 4 (Adaptive) This is the maturity level of organisations whose cybersecurity risk management is in a continuous improvement loop with lessons learned from personal and third-party experiences. 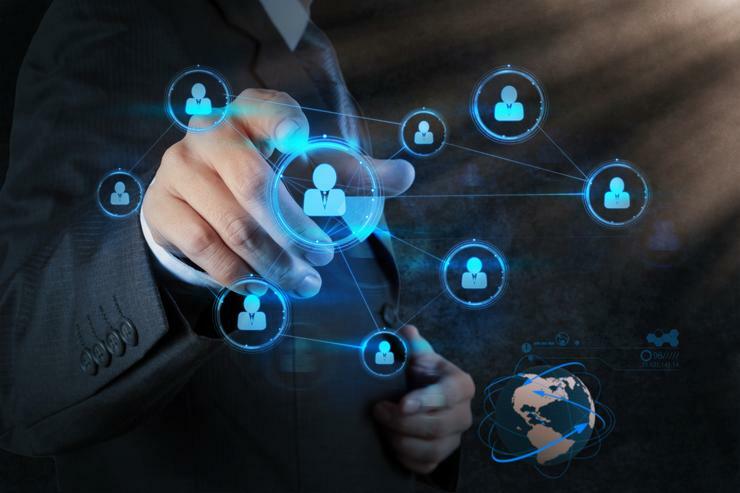 These companies have made cybersecurity risk management part of their corporate culture and they actively contribute risk information to larger industry efforts. So where did you land? For most of us, we are at best in the middle a Tier 2 or 3. The challenge for many organisation’s is then taking this framework and putting this into a practical action plan to improve and move the dial forward. Let me share with you what I believe are 10 commonsense tips. 2. Work with your Management Committee to refine the overall risk appetite and where this fits. 3. Understand most important information and who really needs access. 7. Ensure that cyber security remains an ongoing board-level priority. 10. Partner when it makes sense and you need to add capability.